Have those content items on your to-do list that you feel like procrastinating, or maybe get postponed for other tasks or maybe you just are struggling to find the most efficient way to complete the task. A few weeks ago I did some market research and asked people what system in their business they wanted to improve and a very common theme [in fact 90% of the responses] were all revolved around content creation. Whether that was social media content, blogging, email list, Youtube etc. I have found that some seasons it’s really easy to generate content ideas and find the motivation to write them, and then other seasons you just want to copy and paste a blog you read from someone else’s website. In my opinion the best way to show up consistently and wholeheartedly to your audience is through your content. Am I perfect at it, no, in fact my struggle with content creation is exactly the reason I’m writing this blog post because I went on a research craze, trying to find the best ways to tackle content creation. I believe by having the right systems and processes we can set ourselves up for success by creating an environment to give ourselves the best opportunity to get the content completed for days we just aren’t feeling it. This may go against your opinion or others in the industry, yet I am a big believer in the fact that you don’t have to be on every single social media channel and creating every type of content. So with that said write down or decide right now the streams you will create content for and how often you will do this. 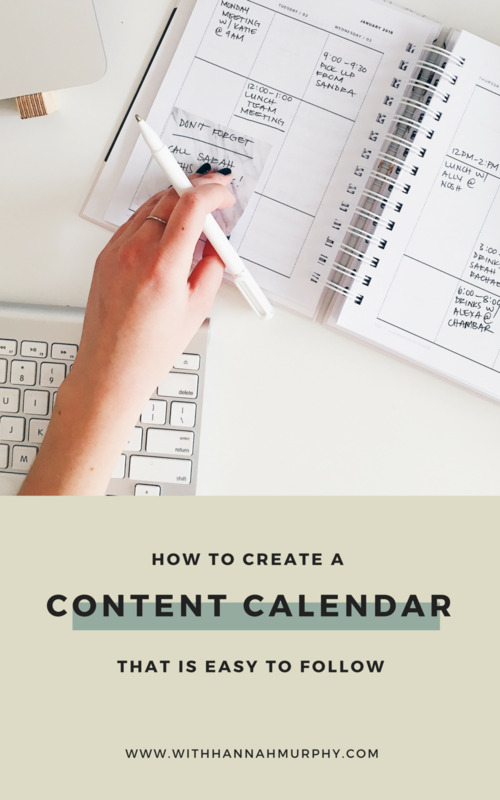 For me, the biggest setback to creating content is actually not knowing what I’m going to say, so I procrastinate it; I knew there had to be an easier so I researched and came up with three different ways of generating content. For me, I have different content generation styles for the different platforms yet I make sure they all work together. Just to note, these aren’t the only content generation styles, I just think these are the easiest to implement for me. This means focusing on a particular offering you want to promote for a period of time. For example, I break down my offering promotion and dedicate 2 months of the year to each one. I then use this to generate content for my blog. For example, I am currently working on a new product shop with a main course; so I write out 8 blog post ideas that all relate to that particular offering. I use the style for Instagram; I have 5 content pillars and then generate the content around them. The other option is creating it around monthly themes. For example particular topics related to your niche. I often do this for my newsletter…. E.g. this month I centered around the topic of overwhelm and next month is around content creation. Step 3: Come up with a workflow for each platform, set it to a batch day and go from there. If you do something more than once, create a workflow for it. I find the easiest way to create workflows, is video yourself doing the task. I use loom and then watch the video and write down each step. Then create batch days + time blocking for the tasks. You got this! You have content that this world needs, let go of the excuses and setbacks and just write it!